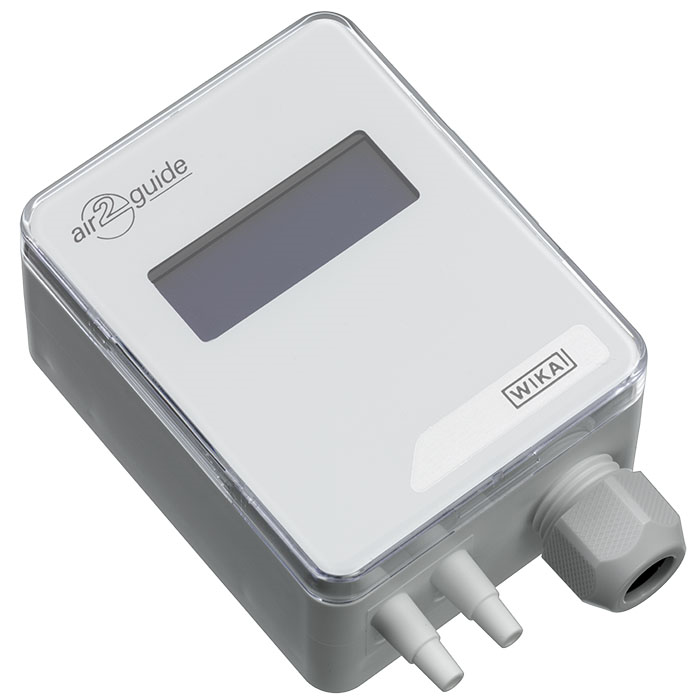 The A2G-100 is a multi-functional PID controller for differential pressure or air flow control, specifically developed for the demands of the air-conditioning and ventilation industry. This PID controller enables a continuous pressure control or air flow control for EC fans, variable air volume systems (VAV systems) or ventilation flaps. The air flow control is achieved through the input of the manufacturer-specific fan constant, KFAN, in the start-up menu or through the use of the model A2G-FM measuring probe. The 0 ... 10 V or 4 ... 20 mA control output is connected as control signal directly to the EC ventilation fan or frequency inverter (FI). Its two-line LC display simultaneously shows the direction of the control output and the current measured value. It provides analogue electrical output signals of 0 ... 10 V or 4 ... 20 mA, which can be set by the operator via a jumper within the instrument. Optionally, the instrument is available with an automatic zero point setting.